1. What's your favorite album? Has she announced her new album? 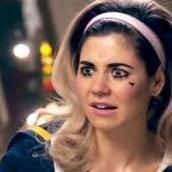 I love Marina so much. Glad I've been a fan for so long and not missed out on her pop gems. I think she is teasing new music, she's quite active on social media lately, hopefully not so long to wait. Shame we'll never get the FROOT deluxe she mentioned. Guys. 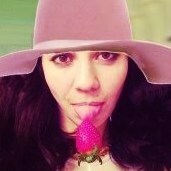 Marina is the queen of humanity. I bought the site for $450 back in July and transformed it into http://diamondgarden.net!!! So excited for her return. She's been hinting at making the new album since June. Wow, site looks great and a lot more active than I'd anticipated! Congrats ! Any update on the release of 'Disconnect' yet ?